The aim of the charity is to make small financial grants to help the sick and elderly of Kirkbymoorside in times of need. If you know of anyone needing a little help please contact one of the following trustees: Mark Brosnan 01751 431452, Tony Clark 01751 431531, June Cook 01751 431160, Debby Richardson 01751 432677, Nigel Richardson 01751 432795, Jo Towler 01751 431229 or Lesley Temple 01751 431237. We welcome our new GP Registrar, Dr Matthew Shaw. Dr Shaw will work with us until August 2019. 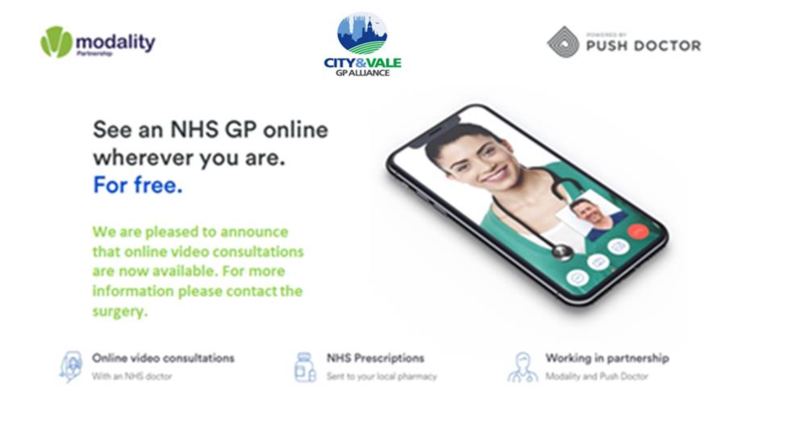 Did you know that all our routine GP appointments are available to book online. If you would like a username and password to be able to book appointments, order prescriptions, cancel appointments and much more 24 hours a day, 365 days a year then please call into Reception with a photographic form of ID. This really useful service means you do not have to wait until we are open to ring us to book an appointment, you can log on whenever it is convenient for you whether this is at 2am or 2pm! Please note if you have an urgent problem which needs to be dealt with by our duty doctor that day then you will still have to ring us as these appointments are not available to book online. We hope to trial booking nurse appointments online shortly. If you provide us with your mobile number we will send you a reminder of your appointment. We can also send you messages via text or email in reply to a query you may have, a message from your GP or nurse, or if we need to contact you but to do this we need you to complete a consent form. Please call in to reception and complete our consent form for this useful service.